Wednesday afternoon, while doing some mill work at Ruge & Wilke’s planning mill, Henry Hunte met with a painful accident which will lay him up for some time. 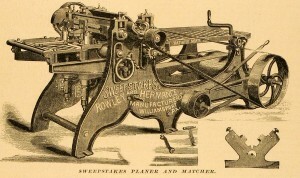 He had started the planer to do a little work which he wished to finish up that afternoon, and was adjusting a screw underneath the machine when his hand came in contact with the planer knives and was badly lacerated. After the accident occurred, he was hastened to Dr. Miley’s office, where the injured member was dressed. It was found that one finger was fractured and two others badly bruised and cut. While the wounds must have been quite painful, Mr. Hunte showed unusual nerve in refusing an anesthetic and assisting the doctor in dressing the hand. Although able to be about town, Mr. Hunte will be unable to use the hand for some time. 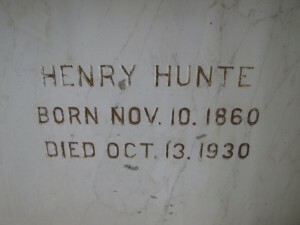 The departed, Henry Hunte, entered this life November 10, 1860, at Lombard, IL. As a child of Christian parents, he was soon after birth taken up in the family of the children of God through baptism. 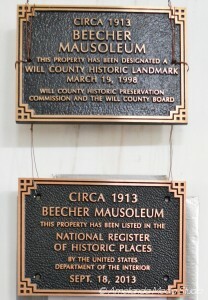 When 2 years old his parents came to Beecher, located at and acquiring what is now the William Heldt farm. His parents having joined the St. John’s Church, he received his religious instruction and was confirmed in that church on March 25, 1875. The following years he learned the carpenter trade and also attended Valparaiso University for several terms. On January 15, 1888, he was married to Miss Minnie Rust, making their home with her folks for two years and nine months. This very happy union was blessed with three children, Albert, Chicago; Carl, Beecher, and Herman, Momence. Following their stay on the Rust farm they made Beecher their home, where the departed successfully plied his trade, faithfully following in the footsteps of his parents. Mr. Hunte showed great interest in kingdom work, affiliating himself with the local St. Luke’s Church, which he helped build and of which he was thus a charter member. 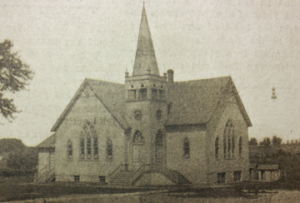 Not only did he serve his church in the role of secretary for 23 years, but also through faithful attendance and financial support, helped to make the congregation what it is today. About five years ago the first sign of a deep-seated ailment made itself felt. Securing medical aid off and on, the ailment was held in abeyance until a month ago it became apparent that nothing could stay the hand of death. Taking to his bed, Friday October 10, 1930, everything possible on the part of his doctors, his loved ones and a nurse from Chicago Heights, was done, but to no avail, the angel of death coming to him at 4:45, the following Monday afternoon, at the age of 69 years, 11 months and 3 days. 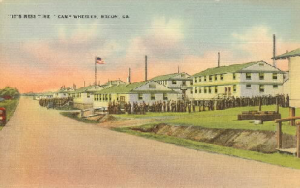 He leaves to mourn, his wife, three sons already mentioned, two daughters-in-law, one sister, Mrs. Louis Tonne of Bartlett; three brothers, Fred G., Springville, Iowa; Frank, Beecher; and Dr. August Hunte, Arizona; one brother-in-law, five sisters-in-law and a host of other relatives and friends. In the passing of Mr. Hunte the family loses a faithful, loving husband and father, St. Luke’s Church one of its mainstays and the community an upright, honest citizen. Those who knew Mr. Hunte intimately will always remember him for his many sterling qualities. Funeral services were conducted, last Thursday, beginning at 1:30 at the residence and 1:45 at St. Luke’s Church, which he so faithfully served. Rev G. Horst, his pastor, spoke in fitting terms in both German and English languages. The beautiful floral pieces and the many friends attested to the high esteem which the departed secured for himself in life. He found his last resting place in the Beecher Mausoleum. Those from out-of-town attending the funeral were: Mrs. William Hunte of Northrop, MN., and daughter, Mrs. August Kakelday of Welcome, MN., Mrs. William Hunte, Momence, Mr. and Mrs. Fred G. Hunte, Springville, Iowa; Mrs. Lena Tonne, West Chicago; Mrs. Sophia Dannmeyer and Mrs. Minnie Blecke, Elmhurst; Mr. and Mrs. Henry Matthias, Mrs. G. Schill, Mrs. Amelia Saul, Mrs. Elmer Bornhoeft and son and Mr. and Mrs. Henry Meyer, Chicago; Mrs. Henry Rust and daughter, Crete; Mr. and Mrs. Henry Rust, Jr., Chicago Heights, and Mrs. Anges Stoner, Mrs. C. Rhorer and Mrs. M.S. Hayden, Momence. To the sorrowing relatives the Beecher Herald extends condolence. This entry was posted in Automated Burial Listing, Burial Listing, Burial Location, HEADSTONE, Obituaries- Have Full Copy, St. John Evangelical Lutheran Church - Eagle Lake, St. Luke's UCC - Beecher, Valparaiso University by Sandra. Bookmark the permalink.